Leaving Rocky and Bullwinkle behind for greater pastures, Rob Minkoff’s Mr. Peabody & Sherman is one of the most surprisingly solid children’s films in recent years, expertly combining heart, humor, and gorgeous animation in a story that takes viewers all over our planet’s timeline. 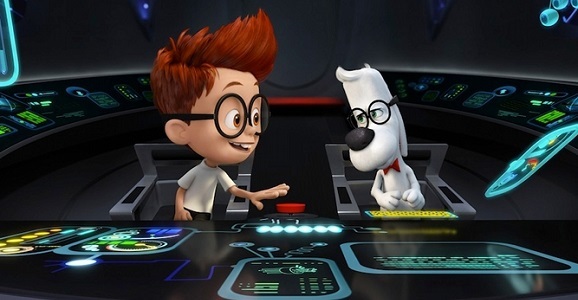 Genius dog Mr. Peabody (Ty Burrell) and his adopted non-son Sherman (Max Charles) get into a high-stakes adventure to right history once Sherman and his non-friend Penny (Ariel Winter) accidentally screw things up in the past. With Stanley Tucci popping in as Leonardo da Vinci and Mel Brooks voicing Albert Einstein, this is an all-ages fun fest that isn’t afraid to mix a slight historical lesson in with its laughs.